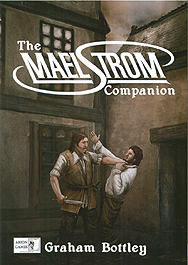 25 Years after the publication of the classic Maelstrom role-playing game comes this, the first authorised Companion! This packed book provides everything you need to expand and enhance your Maelstrom campaigns. At last, this classic game gets the support it so richly deserves.